The 2018 Care Expo will bring together a diverse range of community services, businesses and organisations providing products and services from the support, health and care industries, all under the one big roof! This event is a first for Queensland providing unparalleled access to important care and support needs ranging from aged care facilities, not-for-profit organisations and mobility aids to mental health, education and in-home support services. The 2018 Care Expo will also feature a range of inspirational and educational speakers presenting over the two days. The Carers Foundation is giving one lucky full time carer the ultimate retreat package! The prize includes two nights’ accommodation at the tranquil Cedar Creek Carers Retreat, all meals, massage / facial, art therapy or craft workshop, wellness workshop based on self-care and stress management and counselling session if required. The prize is valued up to $1,200. All full time carers are eligible to enter into draw. Simply complete the coupon (found in the printed Event Guide) and take it to The Carers Foundation site at the Expo on site P87. Good Luck! 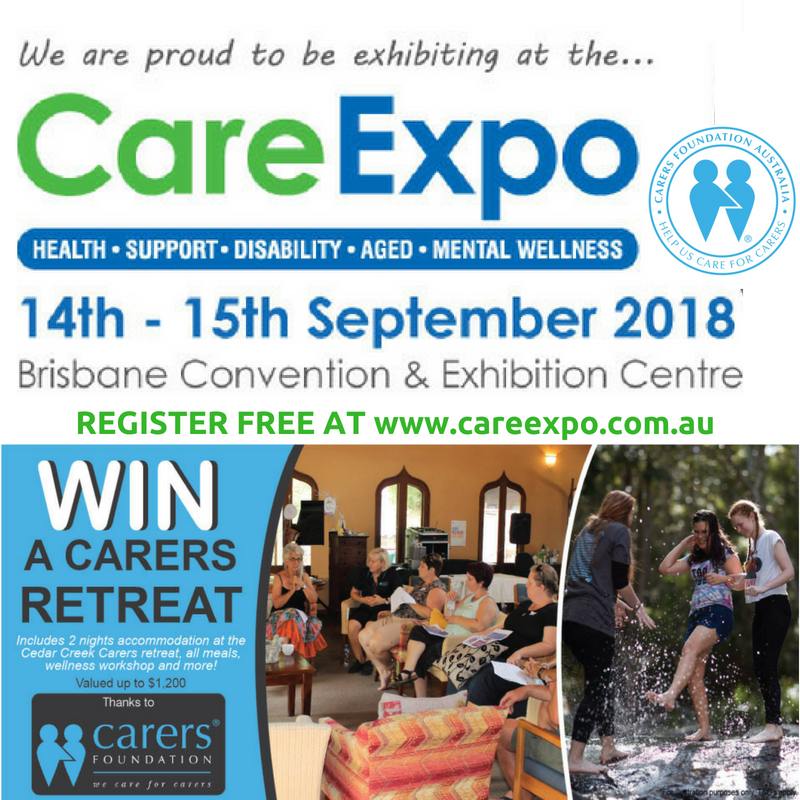 If you want to find out more about the retreat program The Carers Foundation run, make sure you stop by their site at the Expo to find out more. Copies of the Event Guide will be available at the Event.